Our beans are sourced from a number of countries around the world, primarily located in Central and South America but also in Africa. At Lucocoa we only use the highest quality criollo and trinitario beans, and pay over the ICE price for our beans ($500) ensuring that the well being of the farmers and their families is the primary concern. Our Dominican beans come from OKO Caribe located in San Francisco de Marcoris, the capital of the Dominican Republic’s Duarte province, an area renowned for its deep fertile soil and plentiful rainfall. Sourced from Cacao Verapaz and produced by indigenous Q’eqchi Maya farmers in the country’s Cahabon and Lachuá regions our Guatemalan is made with finest beans the country has to offer. 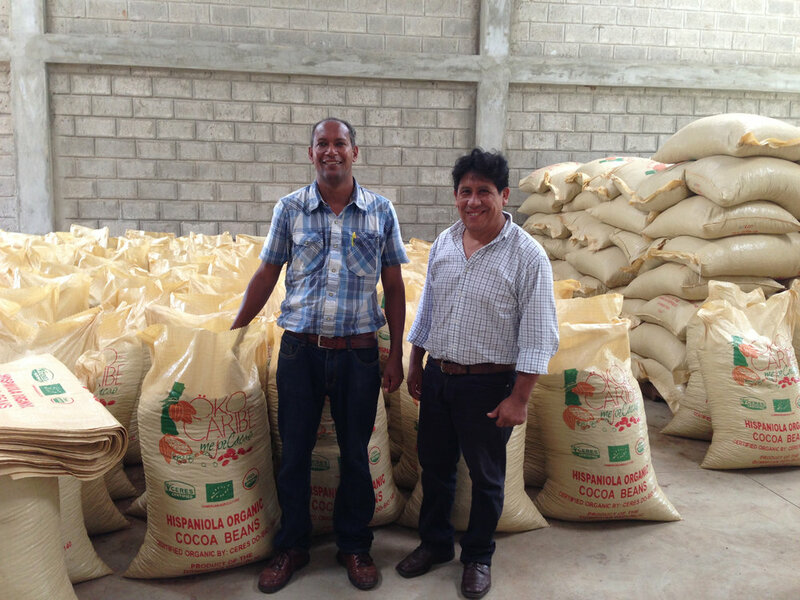 Maya Mountain started in 2010 and was founded on the key principle to improve the livelihoods of small farmers. Today, there are over 300 cacao farmers, most of them Q'eqchi' and Mopan Maya that speak their own languages in addition to English. Madagascar provides us with a fascinating fruity bean. It hails from the Sambirano upper valley, where the soil and climate are ideal to grow the finest cacao. Our coconut sugar is naturally produced in Central Java, Indonesia. It is unrefined and known for its low GI at 35 compared with regular table sugar at 65-70. Basically this means that you don't get those sugar 'high's' and 'crashes' you get with white refined sugar. It also has a high mineral content containing potassium, magnesium, zinc and iron. Lucuma, pronounced loo-koo-ma, is a fruit grown in South America and known by the local people of Peru as “Gold of the Incas”. It’s noted for its caramel taste and nutritional benefits. Containing B vitamins (1,2,3 & 5), fibre, beta-carotene, iron, potassium, calcium, and phosphorus, it is truly a superfood. We use Lucuma powder in our chocolate which is produced after the fruits is washed, cut and fully dehydrated and milled. Cocoa butter is an oil that is extracted from the cocoa bean (The other product extracted is cocoa powder) we add a little bit to the beans, lucuma and coconut sugar for our dark chocolate and mix with whole fat milk powder, lucuma and coconut sugar for our Natural Blonde and milk chocolate.